Some people are just in the right place, at the right time, with the right attitude toward something new. I am one of those people. By chance, I met Adam Sandler and Tom Waits in Ireland, Jason Bay in Boston, Flogging Molly in New Brunswick, the Pope in Italy, and the Queen in England. Just last week, I was scheduled for a tour over LA by helicopter. When we arrived, we were escorted to an airplane, which seemed equally as adventurous so we never complained and stepped on board. After our flight, we learned that the company had made a simple mistake and they offered our original helicopter tour at no extra charge. We were able to fly over the beach cities by plane and downtown LA by helicopter all in the same day. Because I travel so freely and rarely have set plans, it leaves a window of opportunity. 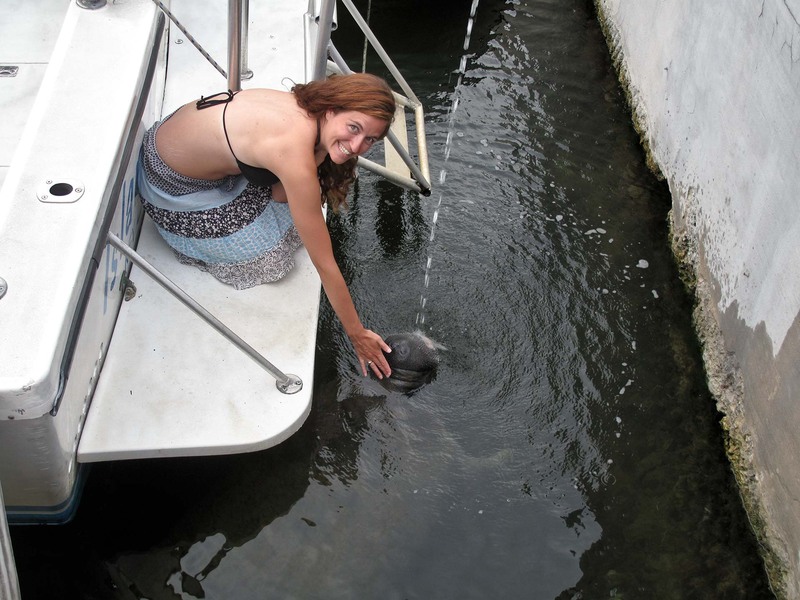 It was this free-spirited, open-ended travel that led me to a strange animal encounter in the Florida Keys. 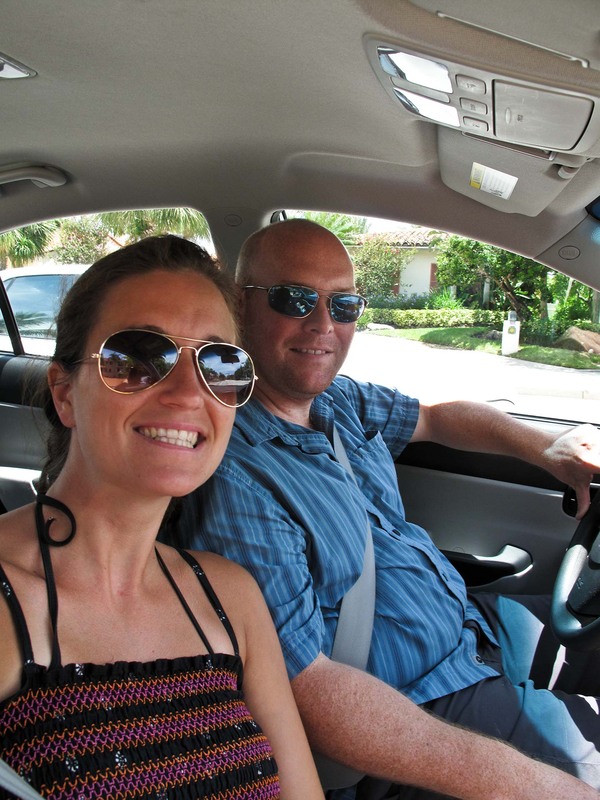 Last summer, Darren and I were visiting Hollywood, Florida which was only a hop, skip, and a jump to Miami Beach and the Florida Keys. With a free day on our hands, we rented a car and drove down the coast. We didn’t have a set destination in mind but Miami Beach and the Keys seemed to hold beauty and adventure, which is what we were after. 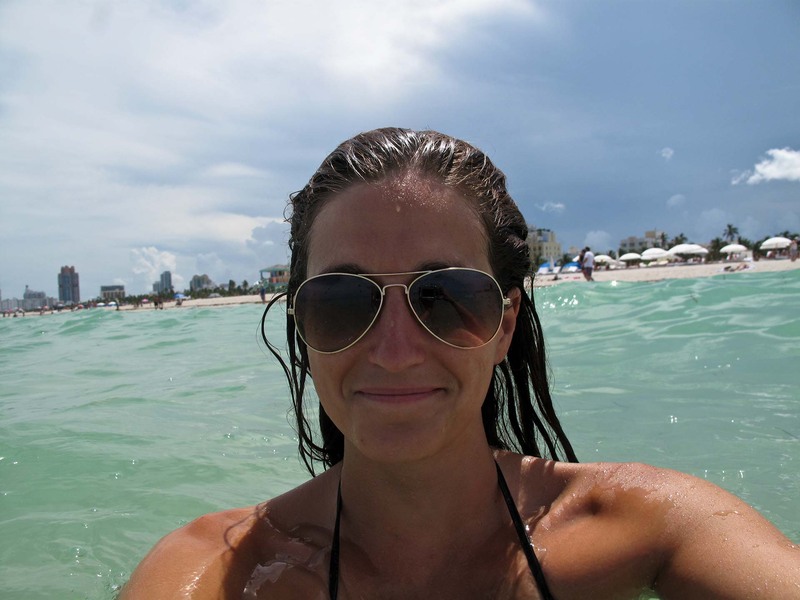 Miami Beach was filled with radiant sun, surf, and sand. Coming from eastern Canada, the idea of a warm ocean that didn’t cause severe pain as you entered was somewhat foreign to me. I’d only experienced the tropical waters while on vacation and I longed to feel the warm caress of the salty, turquoise sea. We played in the water with our G10 and waterproof case for over an hour, enjoying each other’s presence and feeling completely free to goof around and make fools of ourselves since we didn’t know anyone else around us. We took funny, creative shots in the water while splashing in the waves and took a stroll along the boardwalk before continuing our journey. 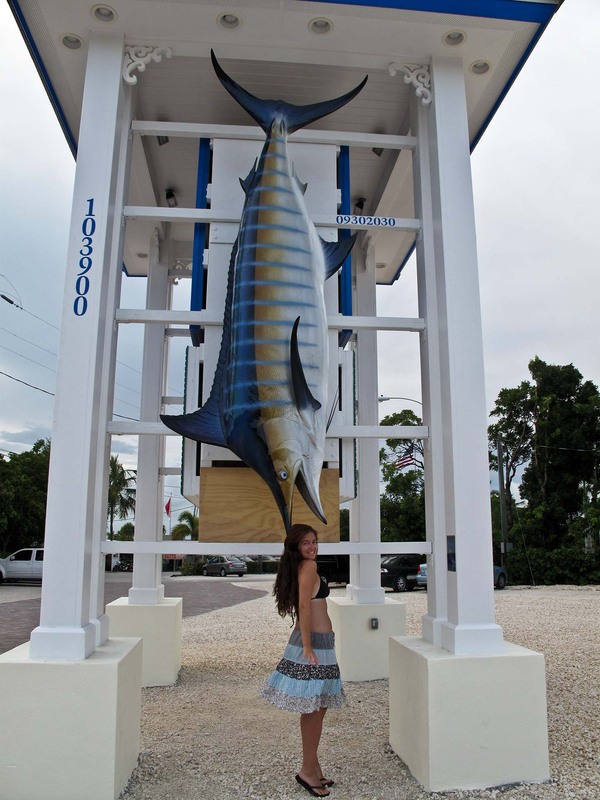 As we drove along the Keys, I noticed a massive marlin statue hanging from a stand at Marriott Key Largo Bay Beach Resort. I thought it was the perfect photo opportunity for a ridiculous shot and I asked Darren to make a u-turn to stand up against the marlin. He’s completely use to my crazy ideas and didn’t hesitate to turn around without question. I stood before the giant beast and thought out my picture options. Yes, I’m one of those people who makes it look like I’m holding up the Leaning Tower of Pisa or spinning a Ferris wheel with my hands. 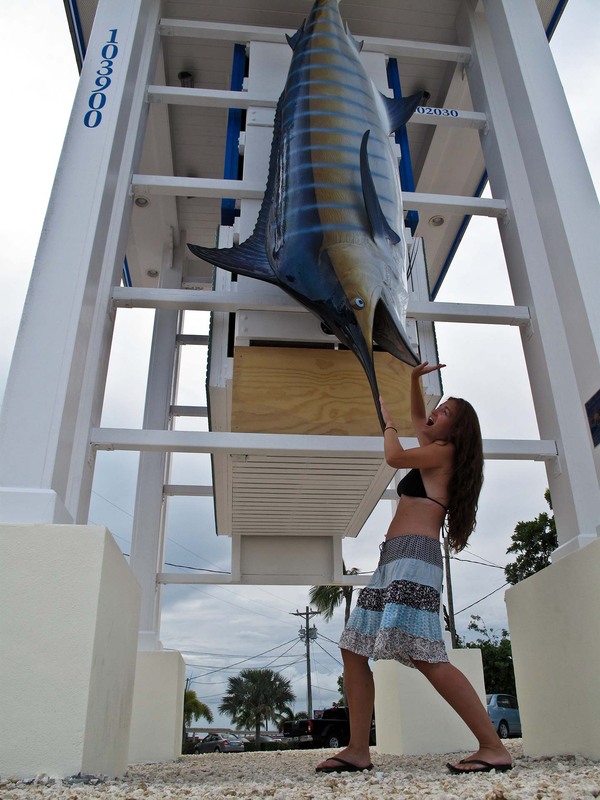 As you can see, I didn’t hold back with the marlin either. A wharf lined the resort creating a relaxing place to see the bay. We noticed a few people crowding around the wharf and we haphazardly walked in that direction as we continued to take photos. The owner of a tour boat, still in his company shirt, was holding a garden hose over the water while other people were saying, “there it is”, “it’s coming over”. Obviously, my curiosity was sparked and we made a B-line toward the water. There, taking in the fresh water, was a gigantic manatee. I had never seen one before or even knew what it was and the questions flowed out of me as quickly as the manatee drank the fresh water. 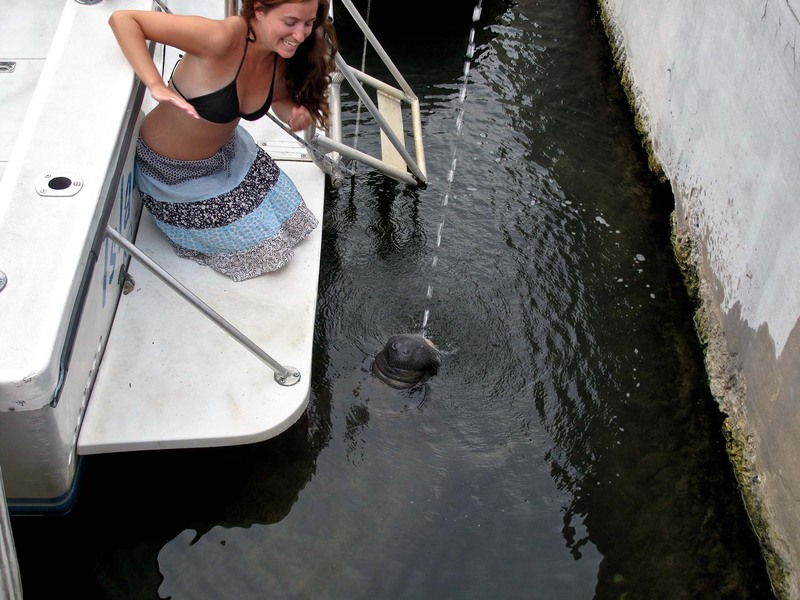 I asked “here’s your sign” questions like: “What is it?” “Is it friendly?” “Could you touch it?” The tour boat owner, who had just returned from his final tour of the day, offered tour opportunities to swim manatee, making him extremely knowledge about them and their behaviors. After my never-ending list of questions, he told us that we could step onto his boat, take a closer look, and even pet the manatee if we were interested. I was elated! Are you kidding me? We can actually touch it! I knew from the guide’s responses that manatee were gentle giants and I didn’t need to fear the proximity; taking him up on his offer was the only way to go. I was given an opportunity that many people paid for and all I had to do was be in the right place at the right time. Slowing stepping on the boat to avoid scaring him away, I had goose-bumps thinking about what I was going to do. He was huge and I was intimidated but his chubby face and slow movements eased my nerves. I took a deep breath and reached out my hand to touch his head. Timid at first, he dipped below the water and out of my reach, but he returned with a ease and fluidity that showed his playful side. After touching his head and feeling the whisker like projections that covered his body like fur, I placed my feet in the water and rubbed his belly. It was an awe-inspiring experience. Although he was a true gentle giant, I felt like I’d accomplished something great. My initial fears were quelled and I was left with a beautiful encounter. My husband had the same, albeit less nerve racking, experience. We gratefully thanked the tour operator for guiding us through the experience and allowing us to use his knowledge and his boat for the adventure. We drove away with a smile on our face and a story to tell. This entry was posted in Adventure, Beaches, culture, Famous People, Florida, life, Photo, Photography, Travel, Uncategorized, USA, vacation, Vacations, Water Adventure and tagged adventure, Animals, beaches, culture, Family, Florida, Florida Keys, life, photo, photography, travel, USA, vacation, Vacations by lesleycarter. Bookmark the permalink. This is one of the many cool things about living in South Florida. I remember seeing them early in the mornings pretty much anywhere along the Intra Coastal. They are so peaceful. I didn’t even know such an animal existed, but it was a beautiful experience. Have you had an up-close encounter with one before? I wonder if they are playful like dolphins when you encounter them in the water naturally? I’m another native South Floridian, so I also really enjoyed this post! And yes, they are very friendly and playful! They always reminded me of big fat kittens or something – if only I could keep one as a pet! Manatee’s can be very curious! I was kayaking in Florida with some friends a few years ago, and a manatee came up and swam right alongside our kayaks, close enough to touch! It moved from kayak to kayak for a while and then left. Really memorable! Seriously, I am living vicariously through your posts–and so are my 2 girls! Love this–especially because I think manatees are the coolest! How old are your girls? i was elated to find out that I was having a girl! I can’t wait to experience new cultures, countries, and adventures with her and my husband at my side. Mine are now 17 and 14. They, too, love travel and traveling with them has given me and their dad some of our very favorite memories! Seeing his cute, friendly face made it difficult to have continued nervousness. The idea that he is a wild creature did remain in the back of my mind though. You are amazing and crazy and awesome. WOW!!! I am loving reading your blog!! Keep your eye out for the postman lovely girl, fun mail is on the way. Wheeeeee! P.S. your hubby is as adorable as you are…perfect match! Can you imagine how cute the babette will be…wow! I hope that our connection has brought some new viewers to your site. You deserve happiness and success. My husband is every bit as adventurous and free-spirited as I am. I’m blessed to have him in my life. Whaaat! The last time I saw a manatee was in Sea World or something, back in 1998. Awesome post! I love your blog. Cheers. I was completely, and pleasantly, surprised to have such a unique experience. It added to an already amazing trip to Florida. Wow! Looks like you are having a fabulous time! 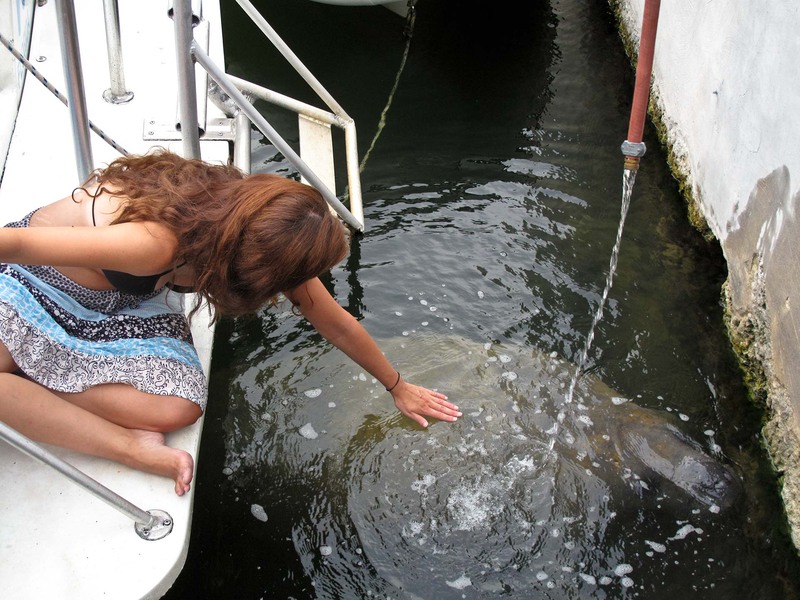 I would have jumped at the opportunity to touch a manatee too! I was completely, and pleasantly, surprised to have such a unique experience. Sometimes the heightened nervousness adds to the adventure; this was certainly the case with touching this beautiful creature. Love this post! What a beautiful place! The water looks amazing! U take very fun photos, I love photos and can’t stop taking them. I really enjoy reading about your adventures! Leslie your blog is immensely inspiring but I must know how do you do it? I’m so sorry to pry but you are honestly living the life my husband and I are striving for, complete and utter freedom so naturally my interest as to how this was obtained has peaked! 🙂 and thanks for all the likes you rock! Travel and adventure have shaped my life as much as my family and friends. My husband and I make it part of our daily life and find ways to continue with the journey. Financially, we don’t spend a lot of money on daily needs. I don’t wear make-up or buy expensive clothes. Most things that I own are from second-hand stores or craigslist.com. We live in a reasonable condo and drive reliable, yet inexpensive cars that we paid for with cash. We essentially live below our means in most aspects except adventure and travel. As a teacher for the past 8 years, I’ve had regular vacation time that allowed for extensive travel. Now that my husband and I plan vacations around his schedule, we need to be a little more creative with our time. We book long weekend trips to places that we could experience in a short time like our recent trip to Alaska was for three days and didn’t require any vacation time from work. All-in-all, we just decide what’s important to us and we make it happen. I hope that all of your adventure ideals are met and surpassed! Do you have an adventure or travel experience in mind? I love to hear the goals and dreams of others. That was mind blaasting!! LOL Seriously, I’m impressed and I love the fact that it would appear you are both just average hard working people who live frugally in order to enjoy the finer things in life such as not missing out on life! That’s what it’s all about really, clothes and makeup will make you feel better but they offer minimal conversation and absolutely no experience–well except for what surrounds you while you’re all spiffed up which could be quite awesome who knows! I never thought of it that way but a 3-day trip would be better than never being able to travel to the destination at all. I am going to keep this in mind! I use to travel a lot as well, never to the extremity that you and your husband do ahaha but I was once well traveled. However in 2009 I developed claustrophobia and have only been on one trip since. It has stolen my flight and away from home security and I fight every day to get it back, which is why I find your blog so interesting especially what you had written in your profile. Quite literally you have become my biggest inspiration you are gutsy, spirited, simply wild and joyous and I love that strength. You don’t really realize how much you think too much and try to control the inevitable when you come across someone such as yourself who just gets in there and does it allowing life to deal the hands to them. Like this post you were suppose to go on a helicopter yet you were presented with a plane, without fussing or fighting you said “meh” and got on it.. That is… A loss for words for me lol!!! But truly moving. Our plans are to travel to mostly remote places as well as stand before the wonders of the world. We really want to go to Machu Picchu, and Egypt as well as the rolling hills of Ireland, the Paris Countryside, a Thailand tour.. The list goes on we love doing outdoorsy things especially hiking, kayaking and walking. One day I want to walk across Canada just for the sheer fun of it. Anyways thanks for sharing Lesley, I’m definitely going to continue to follow you around on this thing maybe your positive energy can wake me from my slumber!! Muahahaha.. They really are special creatures. I would love to give a pat or rub the belly. Nice scale on the swordfish too. Yipes, he is big! Tampa Bay was my home for seven years, so your article definitely resonates with me. Around March and April, the weather in St. Pete is perfect, and by perfect I mean it’s like heaven. St. Pete has a Saturday market that is worth visiting, too. Okay, I could go on and on. Thanks for bringing back memories. You and I literally have the exact same attitude and thoughts about travel! I love it! This post is awesome…I am going to be running a marathon in January in Miami which runs through some of the keys. I would love to see a manatee! WOW! Pretty cool. You are leading a very interesting life, my dear. Keep at it. You are amazing and like Transitioning Mom I am living vicariously through your posts! You do some awesome things and I so enjoy your blog. Do you mind if I put you on my blog roll? I’d be honored for you to put my blog on your blogroll and I appreciate the support. As a rather new blogger, three months in, I’m overwhelmed with the encouragement and increased following. Thanks for taking the time to comment; it’s appreciated. Hi Lesley 🙂 Thanks for popping into my blog, you are very welcome anytime and it was lovely to discover you there! Awesome post! Been down to Naples, Florida before and got to see some Manatees. They certainly are beautiful creatures, how lucky you were to get that close to one in the wild. The photo’s are great, and beautiful memories of this moment forever. 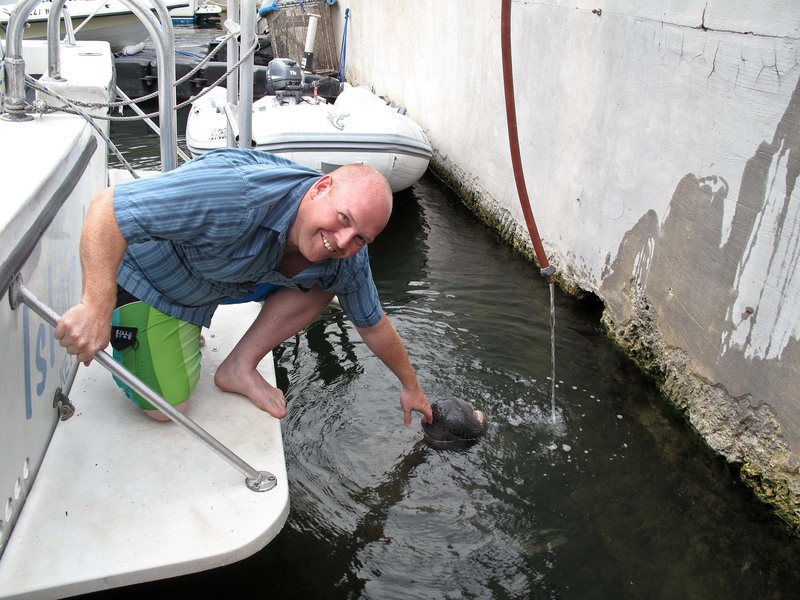 I am really jealous of your manatee encounter — that’s amazing! Thanks for stopping by my blog, and I hope you found some of the baby food discussion helpful, since I see you are expecting your own little munchkin. Congrats! It is definitely a whole new kind of adventure. Are they not the sweetest animals of their size? I grew up in South Florida and have swam with them before…such sweet creatures. Loving on your blog, girl :). Thanks for sharing your adventure 🙂 I haven’t been to the Keys in a hot minute – like years! Can you please send me some of your luck?! I want it! That looks like so much fun! We saw a manatee while snorkeling in Vieques this summer. 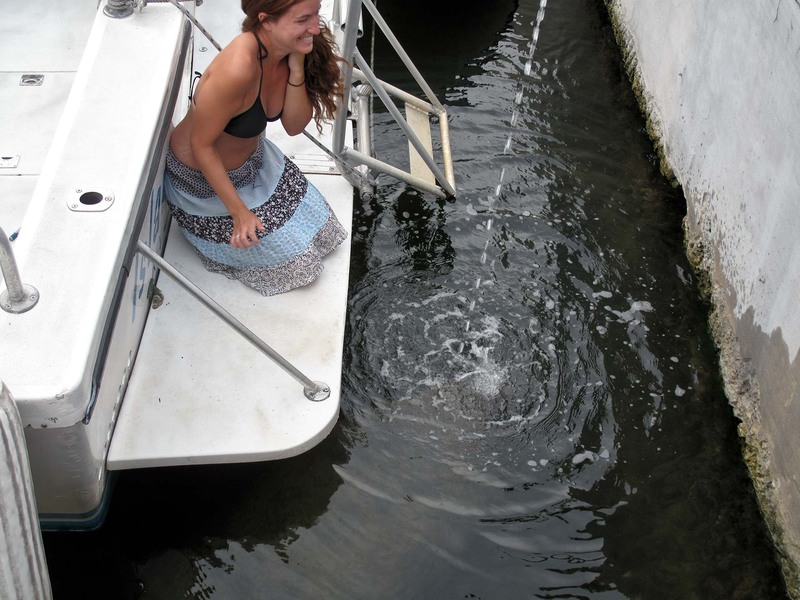 It was amazing and scary at the same time– had your manatee guide been there, we would have had nothing to fear. They are so cute! A wonderful opportunity! So many people lose out on these kinds of things because they are too rigid in their plans, not leaving time for adventure. You will continue to enjoy these fun spur-or-the-moment chances because you allow yourself some freedom during your travels. Thanks so much for sharing these times!! My kids would have flipped for such a great opportunity. That’s the awesome thing about animals. If you keep your eyes and ears open, you never know what adventure awaits. Such an awesome surprise for you! I thought my life was wild as I chase Monsieur across the country. I want to hang out with you guys! When you have a baby, I want to be the nanny so I can go on the road of adventure with the best couple out there. Fantastic story…the intro especially. You really met all those people? Can’t wait until your next adventure! Having spent a lifetime (I’m 75) living outside my comfort zone, I can only empathize with your joys. Don’t ever stop! There is no age limit on adventure. If you’re ever back in Florida, explore some of the rivers. You’ll see manatees, turtles, gators, all kinds of plants. Some are good for fossil hunting, too. 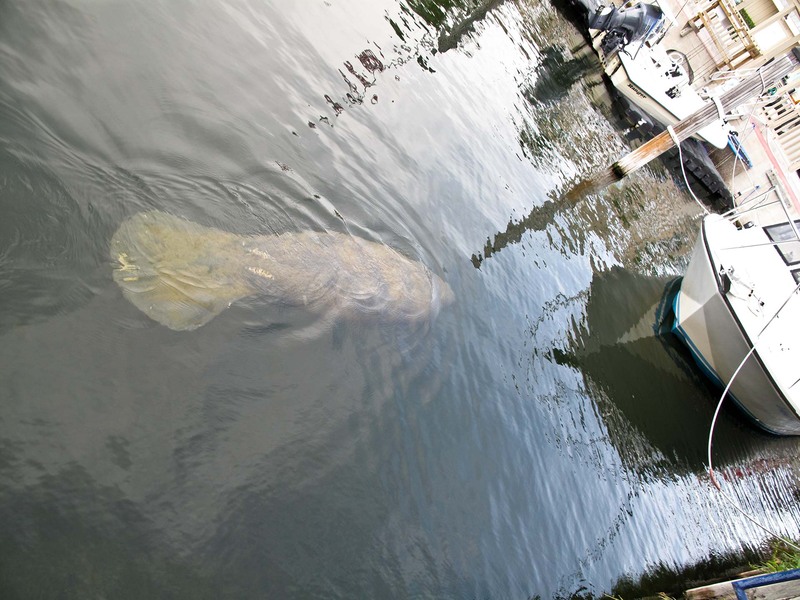 Now that you’ve seen a manatee up close, can you explain why sailors are rumored to have mistaken them for mermaids? Personally, I don’t see it. Very cool! I love Manatees and even though I lived in Florida for a year, I never got to see one. Neat-o. That is amazing. Sounds like a wonderful and memorable trip! I’d love to pet a manatee. I had no idea Manatee’s were so tame around people, i always thought they were too shy to approach 🙂 wow! i don’t trust that swordfish though lol! Florida ohhh Florida! My husband is from there and he loves the outdoor lifestyle .What a fabulous trip you were on. It’s one of my favorite places in the US. That creature looks like a manatee from the prehistoric days. I have had the good fortune to swim with dolphins (and in fact I have been pushed through the water, lifted out, and ‘tossed’ off their noses! Wicked experience!) and seen wild dolphins and sharks (just little reef sharks, nothing dangerous) but nothing like seeing a manatee up close and personal! How wonderful! Have you ever swum with the Whale Sharks? They are truly incredible gentle giants and swimming with them is going on my Bucket List… which I have been inspired to review! Thanks for the great blog! 🙂 Truly enjoying all of your experiences! In Malaysia we called it dugong or duyung, which means lady of the sea. What a fabulous experience, Lesley. There is something so special about intereacting with sea animals. Fancy giving it a tummy tickle! I have never heard of a manatee. As far as I know,we don’t have them in Australia. My daughter takes school groups swimming with the whale sharks and manta rays off the coast of Western Australia and keeps raving about the experience. Maybe she’ll take me one day! Looks like a baby Manatee … they are vegetarian sea elephant – walrus type creatures … Very loving. Are they normally bigger than this? WOW! So pleased you ere able to enjoy a little piece of my paradise. to understand what I mean when I say, “I live in Paradise”. Can you imagine seeing these magical things all the time? I never take them for granted, It is truly a wonder every time. 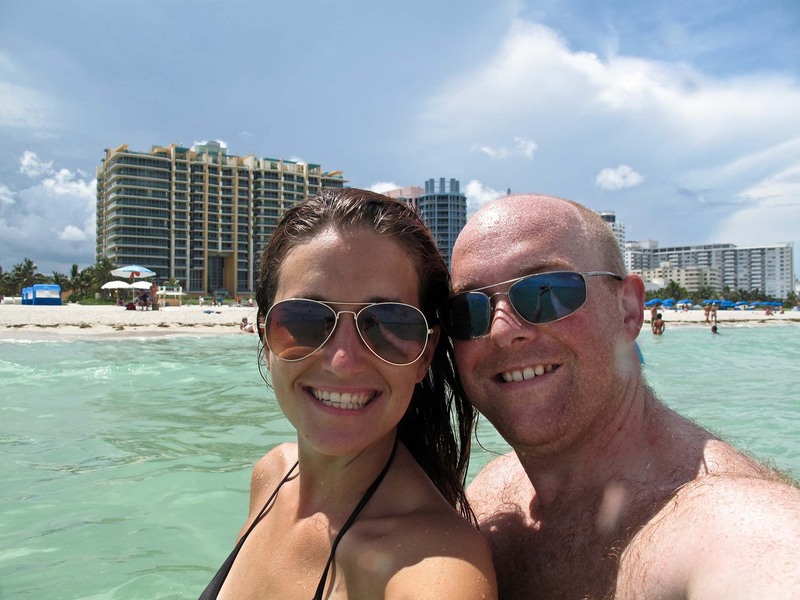 Although I do think that Florida is beautiful and has amazing beaches and surroundings, the humidity was too much for my husband, which is why we chose southern California as our top living destination. Wow! I’ve seen them before but have never been close enough to touch them. What an experience that must be!